WHAT IS THE CANADIAN MORTGAGE AND HOUSING CORPORATION (CMHC)? The Canadian Mortgage and Housing Corporation (CMHC) is a corporation that most are semi-familiar with, but do not know what CMHC actually does. CMHC is Canada’s authority on housing. They contribute to the stability of the housing market and the financial system. They also provide support for Canadians in housing need and offer objective housing research and advice to Canadian Governments, Consumers and the Housing Industry. One of CMHC’s cornerstone services is the provision of market analysis information, housing-related data and information, and key housing sector data and information. They are one of Canada’s leading sources of reliable and objective housing market analysis and information. Their research and activities support informed business decisions, policy development for governing bodies and housing program design and delivery. CMHC (on behalf of the Government of Canada) also is the primary funder for affordable housing endeavors across Canada. Each year, CMHC invests approximately 2 billion on behalf of the Canadian government to help provide safe, affordable, stable housing opportunities for each province and territory. CMHC oversees approximately 80% of the existing social portfolio administered by provinces and territories, and manages the remaining 20% independently to fund federally housing units such as housing cooperatives. They also work under the IAH (Investment in Affordable Housing) Act, which allows for cost-matching the federal investment to allow for new construction, renovation, homeowner assistance, rent supplements, shelter allowances, and more. 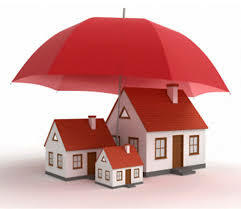 In addition to the above, CMHC is also the #1 provider of Mortgage Loan Insurance to Canadians. Mortgage loan insurance is typically required by lenders when homebuyers make a down payment of less than 20% of the purchase price. Mortgage loan insurance helps protect lenders against mortgage default, and enables consumers to purchase homes with a minimum down payment starting at 5%* – with interest rates comparable to those with a 20% down payment. In addition to CMHC, there are also 2 other primary mortgage loan insurance providers, Genworth Canada and Canada Guaranty. CMHC strives to promote mortgage literacy and provide home buyers with in depth knowledge and tools to help them prepare to purchase a home. Exemption for BC Property Transfer Tax on NEW BUILDS regardless if one was a 1st time home buyer with a purchase price of 750K or less. Still fresh in our minds, the introduction of the foreign tax stating that an ADDITIONAL 15% Property Transfer Tax is applied for all non-residents or corporations that are not incorporated in Canada purchasing property in British Columbia. While CMHC does not implement or guide the mortgage/housing changes, they play an integral part in them. They provide the cornerstone of data that the provincial and federal governments use to determine updates, rules, and changes to help to regulate the industry. So, well we may not always like what the data indicates and implicates, it does serve to regulate and make the process of owning a home easier for Canadians. If you have any questions, feel free to contact your local Dominion Lending Centres mortgage professional.